Wow! It’s a been a year to the day since I had my IV port surgery. It seems much longer. After the surgery I did six months of IV antibiotics. Four types of antibiotics were used over the course of those six months as well as a couple different IV supplemental medicines. 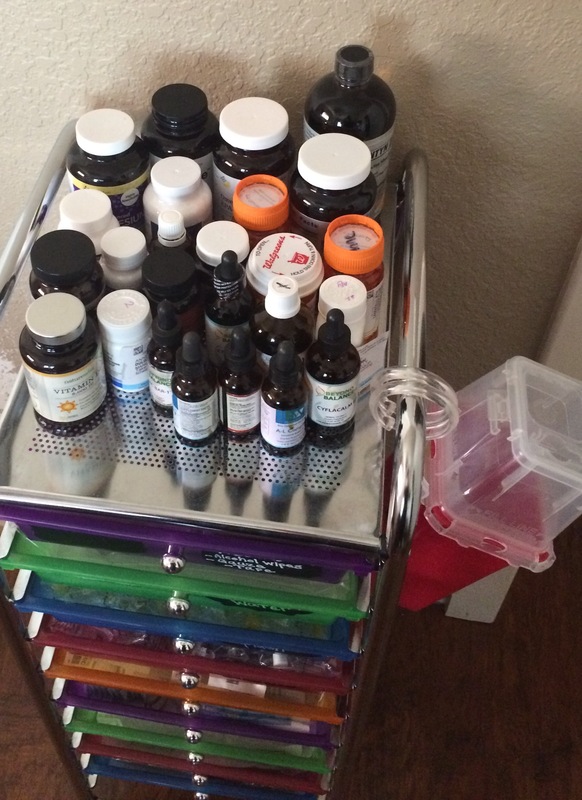 After all those months of IV antibiotics, 1.5 years of about a dozen supplements, herbal antimicrobial tinctures and Chinese herbs, it did put my Lyme disease into remission (notice I did not say *cured*) but that was only one set of symptoms. I am still battling the co-infections, Bartonella and Babesia. I am definitely feeling better than I did when I was diagnosed but I still have a LONG way to go. Babesia (a parasite similar to malaria) is what we’re working on fighting now. In another few months (hopefully, but it could be much longer) I’ll start IV meds to target Babesia. My doctor is trying to lower the overall load of the Babesia by targeting it with herbal tinctures that target Babesia. These herbal tinctures are powerful! Some people cannot tolerate one drop a day without having severe symptoms from the infection dying off. In fact, my daughter, Ally, was on a half a drop, twice a day and was feeling increased symptoms. Currently, I am able to tolerate six drops, twice a day, but I must get up to 20 drops, twice a day before I can start the IV meds. Generally these herbal remedies aren’t enough to kill off the entire infection (although pharmaceuticals don’t do that either) but many Lyme literate doctors (LLMD’s) start their patients on these herbs first to lower the overall load. Once they feel they have done that, then they bring out the big guns of pharmaceutical medications. Some people only use the herbal tinctures because either they have gotten too sick by using pharmaceuticals or they just don’t want to use them. Of course some doctors only use pharmaceuticals but that doesn’t seem to have a good remission rate and often people get too sick to continue only that approach. Many stay on antimicrobials even after the pharmaceuticals for the rest of their lives as a maintenance. There doesn’t seem to be a 100% cure for any of these infections once they go late stage so this is a friendly reminder to use proper preventative measures against ticks and other biting insects! And if you get a tick bite, ILADS.org recommends a prophylactic course of antibiotics started within the first 24-48 hours after a tick bite. You can get ticks tested for free from the Bay Area Lyme Foundation (you do not need to be in the Bay Area to get it tested for free). It’s been said that treating Lyme disease and it’s co-infections are like peeling away the layers of an onion. I think that’s a pretty accurate description. Sometimes you get one infection load down and then something new that wasn’t seen before pops up. This is the biggest challenge with these infections. So far my treatment hasn’t been too complicated and I continue to improve, albeit slow. But I know many that have Lyme disease, including my daughter, Ally, have very sensitive body systems. These people are not easily treated as they have many, many layers to peel back. Sometimes some of the layers are genetic predispositions that were triggered or turned on by the infections. After switching to a new LLMD recently, my daughter, Ally, was recently found to have secondary porphyria, kryptopyrroluria and POTS . From my understanding the first two are genetic predispositions that were triggered by the tick borne infections. POTS is Postural Orthostatic Tachycardia which is a type of Dysautonomia which, for her is caused by the infections doing damage to her nervous system. These are all complicating her treatment. She has not made much if any progress in the last year and a half. 😦 Ally also ended up becoming allergic to a couple of the IV antibiotics we had her on. The doctor thinks that she may have mast cell activation disorder which of course complicates everything even more. Currently Ally’s treatment is mainly consisting of getting these conditions under control and then the Dr thinks we can start treating the actual tick borne infections again. She has made some progress recently, as her migraines have decreased, so that is good. Unfortunately she still has severe fatigue, brain fog, hand tremors, nausea, air hunger, feelings of hot/cold, sweats and other neuro issues. We really have renewed hope with our new LLMD and I have faith that she’ll be making some more progress soon. Some other news is that I recently took my other daughter, Nikki (13 years old) to our Lyme Dr. She had been exhibiting a few of the early symptoms that Ally had started showing shortly after puberty (which is a very common time for these infections to become active), so it had me worried that she was heading down the same path. The good news is that the Dr said he doesn’t see the symptoms of Lyme. The bad news is that he sees some of the symptoms of Bartonella which we are currently testing for. But he said that he sees Nikki as the “polar opposite of Ally,” (HA! for those of you that know my kids you know that is SPOT on!) and that he doesn’t think she’s as sensitive as Ally. This in his opinion means that Nikki would never get as sick as Ally. This of course is great news for Nikki but it makes me sad that Ally is so sensitive. He thinks that if we keep Nikki on the antimicrobial tincture for Bartonella and focus on keeping her immune system strong that she should stay healthy. The doctor and I both think that there’s a strong likelihood that I gave these infections to my daughters in utero or while breastfeeding since I most likely have had Lyme disease for 20-25 years. However they both have had a few tick bites in their time, which could have added to the infection loads. We will never know for sure. Facebook has a nifty little feature that shows your memories of a particular day from past years. Most of the time it’s great. A picture of your kids, much younger and with chubby cheeks. A funny thing your kids said that you just had to share. A day out with friend or a memorable family vacation. Often I find myself smiling at the memories brought to my timeline each day. However for those of us that have had any sort of suffering or loss in our life it can sometimes be painful. Today was one of those days. I start my day drinking my coffee and reading Facebook when a notification pops up. I have a “memory.” I open it up. Immediately, I see a picture of my daughter, Ally (now 17), from three years ago. Three years ago today she got her first pair of pointe shoes, a memorable day for any girl taking ballet. I remember that day so vividly. We had to drive into Sacramento to the Capezio store which was over an hour away. Ally was nervous and excited all at once. We get to the store and have the store owner measure her foot. 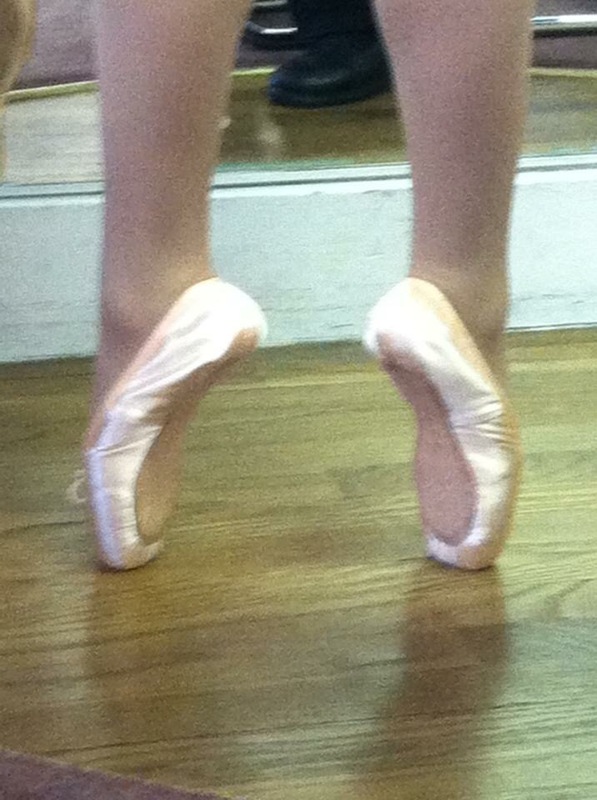 She looked at the physical features of her foot and then went to grab a few pairs of pointe shoes to try on. She said she might have a hard time because Ally has a wide toe/ball of her foot and very narrow heel. Ally and I gave each other a worried look. She was so anxious to get her pointe shoes. What if they couldn’t find the right pair? Apparently fitting pointe shoes is a science. When some of her friends had their pointe shoes fitted, it had taken thirty minutes to an hour. Amazingly the owner picked the perfect pair on the first try. She had Ally try on another pair just to be sure. But no, the first pair were the ones! I remember Ally standing at the barre in front of the mirror looking at herself as she went up and back down. She had the most beautiful smile on her face. I think it was quite possibly one of the best days of her life so far, if not the best day. We paid for them and went home to sew the ribbons on. That night she had ballet and was excited to dance in her new shoes. I think I’ll always remember that day. Ally’s first pair of pointe shoes. Ally danced on pointe for almost two years before the Lyme disease robbed her of her ability to dance. It was gradual so we didn’t notice it right away. She complained of muscle pains, joint aches and being tired a lot. We just thought it was because she was dancing so much and that she had recently started a rigorous new high school after being homeschooled for nine years. What we didn’t know at the time was that her immune system was crashing as the Lyme and coinfections were taking over. We have now had this dark cloud that is called Lyme disease hanging over us for about 15 months, although we’ve suffered with it for much longer. We now had a name for it. Ally hasn’t danced for nearly the same amount of time. It was really hard for her to give up dance but she just couldn’t keep up anymore. She loved it so much. It was hard for me to know she had to stop doing something she was passionate about. Ally had really grown in both her love of dance and her confidence over the last few years before she stopped. It was an amazing transformation, from the shy little girl who loved dance but would rather not perform, to the beautiful, smiling young lady who now enjoyed performing. The loss was made even more difficult for both of us because her younger sister, Nikki, was still involved in dance. That meant trips to the dance studio, dance competitions and the yearly dance show. To make matters worse most of her former friends at the dance studio didn’t even say hi to her now when they saw her. It was tough. I cried through both recitals during the ballet classes she would have been in. In time it got easier for me to accept the loss. I think it’s gotten easier for Ally too. But sometimes the memories of life before Lyme are pushed in front of me. It brings me back to the reality of how much our lives have changed from this horrid disease. It’s been a long time since I’ve written anything on my blog. It’s often hard to feel motivated to write when you feel worn down all the time. Not to mention trying to be a mom of one active kid and another that is also sick with Lyme disease plus other tick borne co-infections that often come along with it (I like to call it Lyme Plus+). This post will mostly be an update of where we are in our treatment. My daughter Ally (now 17) also started IV antibiotics shortly after I did in the middle of June. She started with IV Rocephin and quickly added oral Tindamax. She didn’t last long on this treatment because she ended up having a severe reaction to Tindamax. Breaking out in huge hives all over her body that lasted for weeks, she was miserable. The doctor said to stop all of the treatments to allow her body to clear out all of the toxins from the meds. When she started back up again on IV Rocephin, which she was perfectly fine on before, she started getting itchy. Luckily, not hives, but it was a worrisome reaction. Our doctor said to try taking it with Benadryl. She did, but this time she felt her throat tighten. A very scary reaction. With this second reaction to another antibiotic, the doctor didn’t want to jump back into antibiotics for the time being. We increased her antimicrobial tinctures and waited for lab tests to see if she had unusual histamine reactions which could explain why she became allergic to these antibiotics. During this same time Ally’s Babesia symptoms became stronger. Babesia is malaria-like parasite that is a common co-infection, transmitted via the tick bite that gave you Lyme in the first place. Babesia has many symptoms but the symptom that worried us the most was her air hunger. Air hunger is just what it sounds like, the felling of not getting enough oxygen. She would also get out of breath from simple things like walking from her bedroom to the kitchen, walking upstairs, or even just getting out of bed. She was also getting symptoms of lightheadedness and dizziness from just standing up. Sometimes she would completely lose her vision upon standing up. Yes, you read that right…she would go temporarily blind just from standing up. Fortunately, she would quickly regain her vision but it still is a frightening feeling for her. The doctor decided that Ally could try oral Mepron which targets Babesia. Oral Mepron apparently does not come in a pill or capsule form. I’m not sure why, but it doesn’t. What we got was a chalky, very thick substance that was bright sunflower yellow. Yuck! It tasted about as good as it sounds. She tried that for two weeks and her symptoms did not improve. I’ve heard that many are on it for much longer and we may revisit this drug someday but we stopped after two weeks. Here’s where my update and Ally’s update come together…. Shortly after the new year we had to switch doctors because our doctor was moving to another practice in another city. We had been happy with her, but we really wanted to stay with this particular clinic because of the reputation it has in the Lyme world. So we started over with a new doctor that a couple of friends had recently switched to because of their hard to treat, very sensitive, kids with Lyme. Unfortunately, he is even more expensive than the first doctor but he also has more experience and was the doctor who actually mentored our past doctor. We basically had to start over as a new patient with him. Ally’s first appointment was over two hours long and mine was 90 minutes. You should know that most Lyme Literate Doctors or LLMD’s as they are called, do not take insurance and are expensive(!) because they are constantly risking their medical license due to the fact that are treating people outside the outdated guidelines of the CDC. Fortunately, I applied for and received a grant from the Lymelight Foundation for Ally. This wonderful organization helps kids ages 1 – 25, with Lyme disease, by granting up to $10, 000 for medical treatment. If you ever feel like donating to a great organization that can really make a difference in a child’s life, please consider Lymelightfoundation.org. Anyway, I am so thankful that Ally received a grant from Lymelight. It really helps take some of the financial burden off of our family. By switching doctors, it temporarily stopped Ally’s treatment, but the new doctor has some new insights to Ally’s complex case. We are in the process of testing for parasites and viruses (like Powassan Virus and Epstein Barr). He also thinks that Ally has one more tick borne infection that the other doctor missed. The count is now up to four tick borne infections, Lyme, Bartonella, Babesia and Mycoplasma and we’ll know shortly if she has any other parasites or chronic viruses. These infections are not easy to test for which is why some may have been missed with the last doctor. These LLMD’s really have to become medical detectives because once your immune system has been taken over by these infections it leaves you more susceptible to other things, like, viruses, parasites, and mold toxins to name a few. It’s really interesting to watch the new doctor try to piece the puzzle together. At times I can practically see the wheels turning in his head as he’s trying to tease out what takes priority for the moment. I’ve heard it said that treating Lyme Plus+ is like peeling back layers of an onion. You can attack one infection and another one then rises to the surface and you attack that one. I’m really hopefully that we’re headed in the right direction now. Unfortunately, treatment is slow because of all those layers. Also Ally is clearly sensitive to treatments so that means we have to go slow and start on very low doses compared to what one might do otherwise. Our new doctor also had some new insights on my case. My first LLMD found that I had Lyme and Bartonella for sure and Babesia was a possibility. We worked a lot on the Lyme with the IV antibiotics but didn’t do much for the Bartonella and did nothing for Babesia. Now my doctor thinks that my Lyme is actually under control and I am in remission. However, he still sees Bartonella as a problem as well as Babesia. FYI, I will still say I have “Lyme disease” because I’m not really cured, it’s just in remission, and Lyme disease is kind of a generic label that gets put on most tick borne infections. People understand that a little better that if I were to label each and every infection I have. I think that pretty much sums up the last eight months. Ha! 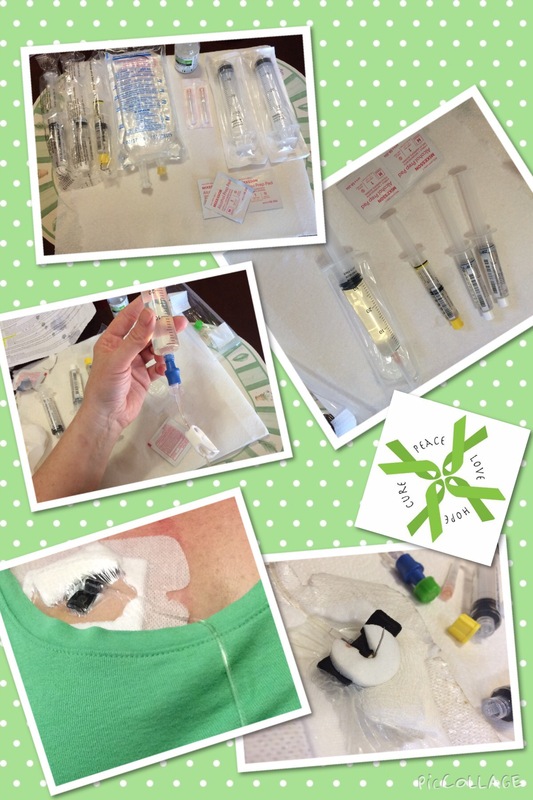 I hope you’ve learned some new info on Lyme disease as well as where we are in our treatment. Overall, I know we still have a long way to go but I still have hope that we will get to remission and that one day there will be a cure. In case you haven’t figured it out yet, I am passionate about educating people on this rapidly growing, poorly misunderstood disease. 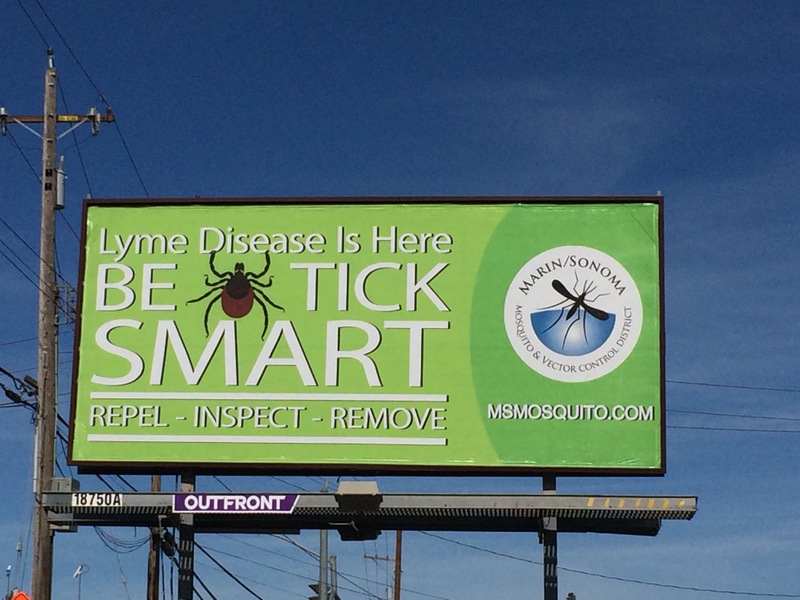 With the early Spring weather here in Northern California, I have heard of many people on social media talking about having tick bites and some of those even having the bulls eye rash, which only half the people infected get. Lyme disease is a growing problem and if you get a tick bite please consider getting on 4-6 weeks (6 weeks being ideal) of antibiotics. If you treat the infections early, you can, most likely cure the infections. If left untreated, it can go to late stage and then there is no cure. Often if you wait for symptoms to show up, it is also too late. Please be proactive in avoiding tick bites and always do your tick checks when coming from outdoors. The doctor and I both feel that it is likely that I have had Lyme Plus+ for 20-25 years or more. If this is true, then there is a possibility that I passed the disease on to Ally while I was pregnant or while breast feeding. We will also look to test my daughter Nikki (12) in the next few months to make sure she doesn’t have an active infection. In addition to the fact that I may have given my daughters Lyme disease, they have both had tick bites which could have added to the infection load. Once again I ask that you please take tick avoidance and prevention serious. Just replace the word “Ebola” with the word “Zika” and it’s pretty much the same. Yes, I do believe that both Ebola and Zika can be a serious health concern, but on the grand scale of things it’s not as serious as Lyme plus. Really! Trust me on this. Yesterday Ally (16) and I went to Santa Rosa (about 3.5 hours away from home) to see our Lyme Dr. After updating her on our health and how our treatment has been going we got down to the business of working out a new treatment protocol. She wants me to add two more IV antibiotics in a method called pulsing and a IV supplement that helps target the cyst form of Lyme. That will be a total of three different IV antibiotics and one IV supplement infusion rotated throughout the week. I’ll now only have a one day break each week from the IV meds. Part of my IV antibiotic routine. The Dr wants to start Ally on IV antibiotics as soon as we can get her port in and she recovers from the surgery. She’ll start on a single antibiotic at first and then after three to four weeks she’ll add in more antibiotics and start pulsing them. We thought it was a good time to try a more aggressive treatment for her since it’s summer break. It’s a lousy way to spend summer but we all know we have to do it if she wants to get well. Ally starts her junior year in a few months and we hope the hardest parts of treatment will be behind her by then. It’s a tough balance to work on Lyme treatment (which often makes you feel worse before better), school and trying to have as normal of teenage life as possible. 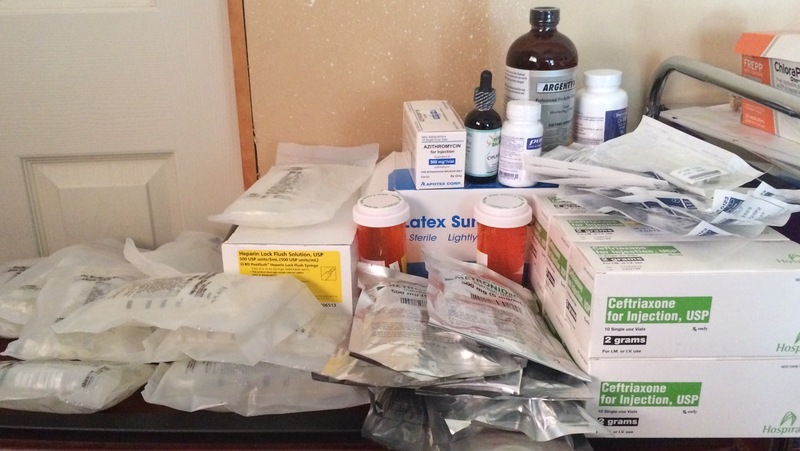 We came home with a lot of IV supplies, prescriptions, supplements, and lab slips for blood work. It was a very expensive day and cost over $1650 for the two of us, not including a $220, prepaid order I picked up, gas and eating out while away from home. Ouch!!!! I hope to get the cost of the office visits reimbursed from my insurance company but we’ll see. Supplies, prescriptions and supplements from our visit. Next week I’ll go back for two consecutive days to try the new antibiotics in their office to make sure I can tolerate them. This will mean that I have to rearrange my entire week, including figuring out how to get Nikki (12) to her day camp and dance on those days. I’ll also need to schedule an appointment with a surgeon for Ally’s port. And Ally has a DMV appointment to get her provisional/learners permit. 😁 It’s going to be a busy week which will be exhausting! I hope we can make it through it. We saw this billboard while in Santa Rosa! We MUST change the lack of education in our communities, as well as in the medical world. We MUST figure out how to do a better job of early diagnosis and finding better treatment that will result in a CURE for Lyme and co-infections instead of only getting to remission. 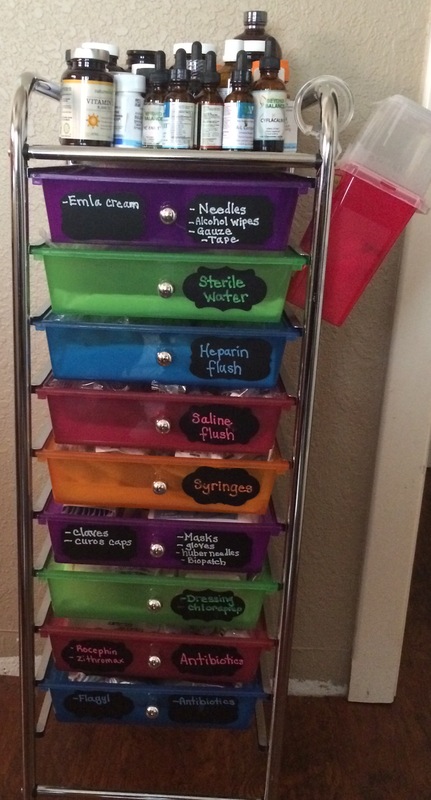 This is how I organize my IV supplies. Our daily supplements and prescriptions. I found this video on YouTube and thought it was pretty good. For just over 9 minutes you get Lyme 101. It covers Lyme Disease, prevention, what it can do to you left untreated, how it is spread and more. By watching this and sharing, you may be helping yourself or someone you care about. Please watch and share! Now that my daughter and I have been in Club Lyme for 3 months (from diagnosis), I have discovered a whole new world. Both good and bad. I have new vocabulary; herx, MTHFR (a gene that causes problems esp. those with Lyme), methylation, blood ozone, CD57, Igenex, PICC, IV port and more. I research almost everyday trying to find the ONE treatment that will get us to remission the quickest. In this new-found life we’ve been thrown into, I have found there is a lot of despair, agony and suffering. It is difficult to watch. I wonder if or more like when we will be suffering as much as others in the club? Because this disease is not given enough importance in the medical community people don’t understand how serious it is. Currently there is no cure. The best hope is for a remission. 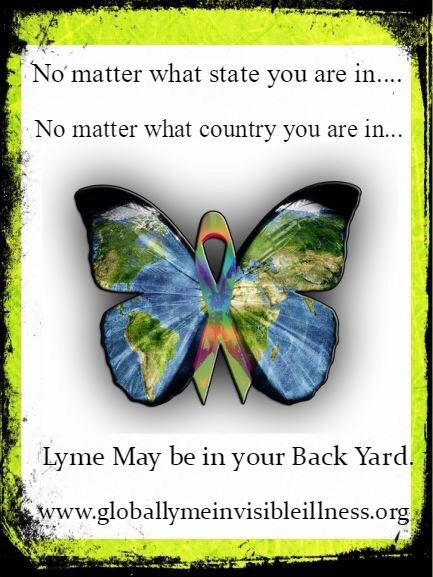 I now know many mother’s of children with Lyme. Many of these children, most of them teenaged to young adult, have had lyme for most of their lives. They had been misdiagnosed for years. Their symptoms are so serious now they are unable to live a “normal” life. Many have had to return home from college; no longer able to continue in the path to a bright future. Most are now fighting for their lives. It’s extremely difficult to think that this could be not only my future but also my daughter’s future. Knowing that as it stands now my daughter and I will never be able to put this disease completely behind us. We may get to remission but we will always know that the other shoe could drop at anytime. My daughter will never be able to have a “normal” life that we all dream for our children. When she meets a man she loves, she will have to worry about keeping him safe from the disease. When (and if) she decides to start a family she will have to worry about passing the disease to her unborn child. While these worries are far off in her future there are more current concerns. Will she make it to college? So far she’s still managing school. Will she be able to keep dancing? Last year she was taking five dance classes. This year she started out with three and had to drop two of them. She’s trying to hang on to the last one but it’s tough for her. I hate to see her lose something she loves to do. Lyme Disease takes so many of the things you love from you. For the rest of her life my daughter will have this horrendous disease following her every move. This is often too much for me to think about. All I can do is hope there is a cure someday. Since joining this exclusive club I’ve heard from many that long time friends will slowly disappear as the weight of seeing and listening to your struggles becomes too much for them to bear. It’s understandable. It is a heavy burden to carry. No one can truly know what it’s like to live with a chronic disease or illness unless you have been there. I admit, I didn’t truly understand before becoming a full-fledged member. In addition to you are not as fun as your former healthy self. Sometimes it’s all you can do just to get through the day. It’s not exactly the most fun for friends to be around. However my closest friends have hung in with me. I see them trying to understand what we are going through. I know it’s still early in my journey through chronic disease but I think I have some pretty amazing friends. I don’t think they’re going to let me down. I could be wrong but I’m awfully stubborn and I just refuse to think they’ll disappear. Of course now I’ve written about it, so they would be real a**holes if they do decide to ditch me. Ha ha! I love you guys! 😜 ❤️ But seriously these friends have stuck by and for that I’m super grateful! Having met new friends and finding out who my true friends are has been an incredibly good thing to come from this disease. Another bit of good is that I have become an educator of sorts. This disease is widely misunderstood by Dr’s and by the community at large. I feel the need to try to help others learn about this disease in hopes that they can avoid joining Club Lyme. You may see me post many things about Lyme Disease on Facebook, Instagram or on my humble little blog. You may hear me talking about it A LOT! You may be wondering when I will stop?!? Truth is, I doubt I will. Lyme Disease is so serious that I must try to help others avoid this misery. I can’t apologize for it. I won’t! So scroll past my posts if you want. Tune me out if I’m talking about it. But I know that somewhere in the back of your head I have planted a small seed. If you or a loved one ever get bit by a tick or start having mysterious symptoms you will have the information needed to get help right away. Or you will at least know who to go to for some advice. So go ahead and call me the Crazy Lyme Lady, because the thought of possibly helping one person avoid Lyme disease puts a smile on my face. The past week or so has been a tough one emotionally. Lyme disease is certainly no joke and nothing to take lightly. I’ve been there to help support a friend in crisis, I have heard of several of the Lyme Moms say their children have gone downhill. I wrestled with my own emotions for my daughter’s future. In addition I was sick with the flu. With all of this physical and emotional suffering I’ve been reflecting on my life, the good, the bad and my new normal. Could my Chronic Headaches and Migraines be Chronic Lyme? It is very common for people infected with Lyme Disease to have chronic migraines. If you have chronic migraines you may want to consider finding a Lyme Literate Dr (LLMD) and get tested for lyme. I’ve questioned this for many years, but after having my first Live Blood Analysis mere curiosity is turning into action. I’m researching local Lyme specialists to rule out Lyme or other tick-borne illnesses and co-infections. Although I’m finding long-term antibiotics to be the typical treatment, I will continue on my mission to heal my gut – not further destroy it. It was recommended I look into Hyperbaric Oxygen Therapy (HBOT) as an alternative, but the suggested 90-minute “dives” twice a day for 10 days costs $3900, which excludes lodging and rations. I prefer to go the IV Ozone route, but I need to learn more about the number of sessions and cost. Is Fibromyalgia Really Lyme Disease? I was originally diagnosed with Fibromyalgia and I think I was close to getting a Chronic Fatigue syndrome Dx too. Now we know better. It was really Lyme and friends. This post is geared toward those with a Fibromyalgia diagnosis, but might be a good read and please share this information as I feel it could help people find answers and a path to a normal life. I know this post is going to offend. Ok maybe REALLY offend. But with the recent great article posted by Envita, I think this topic needs some further dwelling and consideration. But readers, I am blogging with all the good intentions as I want nothing more than you all to get your lives back. Many of you are completely debilitated, and your lives have been destroyed. I am hoping that you can all read this with an open mind. Why Ebola (and many other media sensationalized diseases) Doesn’t Worry Me Anymore. Today I received a text from a good friend asking if I had heard the news that a potential Ebola patient had been admitted to a hospital in Sacramento. She had the gritted teeth emjoi on the text. A sign of worry, for a potential Ebola outbreak. I responded, that yes, I had heard the news, although I didn’t know it was so close to home. Today, I felt something different. You see I recently found out that my daughter and I have Borreliosis, more commonly known as Lyme Disease (more on the name difference in a future blog). I also have a few other co-infections from the tick bite. Anyway… so I recently found out that I have this tick borne disease and what’s scary is that everyone should be so much more concerned about this than Ebola. In fact you should be more worried about it than West Nile Virus, or many other diseases. This disease is called the great imitator because it can mimic many other diseases. It commonly gets misdiagnosed as MS, ALS, Parkinson’s, Fibromyalgia, Chronic Fatigue syndrome, any autoimmune disease, neurological disorders, mental illness and much more. It is spread by ticks but some are saying it can be spread by any biting insect. I’m not sure of the proof on that but I do know that I have never had a tick bite, that I know of. Never! But we do live in a tick infested area, in California. They tell you to watch for the classic sign of a *bull’s eye rash* but what they don’t tell you is that about 50% of people with Lyme Disease report having the bull’s eye rash. Current research on the disease has shown evidence that it can be sexually transmitted. It also can be passed from mother to fetus, as well as through breast milk. You can also potentially get the disease from a blood transfusion or as an organ recipient. Currently the medical profession does not screen for Lyme Disease when accepting donations of blood or organ donation. This is an epidemic! What’s worse is that many doctors do not think there is Lyme Disease anywhere but on parts of the East Coast. This disease is EVERYWHERE! Some form of it is on every continent except Antarctica. To make matters worse, the common test to screen for Lyme is very inaccurate, especially if you have had the disease longer than 2-4 months. In the US alone the CDC has recently come out with an estimate of 300,000 people getting this disease a year. And that is just in the USA! Some are calling this the next AIDS/HIV epidemic. Compared to the current Ebola outbreak which has had roughly a little over 22,000 infected, Lyme is a very big problem. 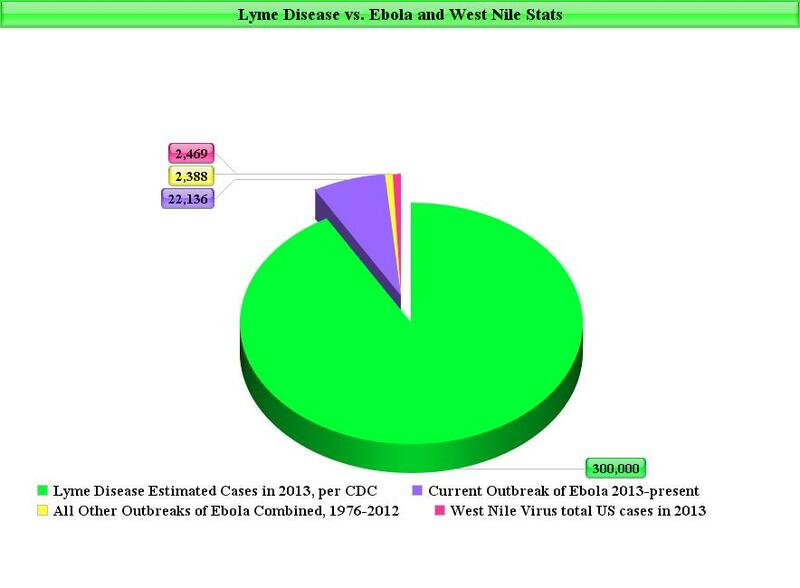 I actually made a little pie chart that shows Lyme disease vs Ebola and West Nile Virus. Yes, I live life to the extreme and actually *like* making pie charts and other graphs. 😉 I think after you see my beautiful pie chart, you’ll see exactly why I don’t worry about Ebola anymore.